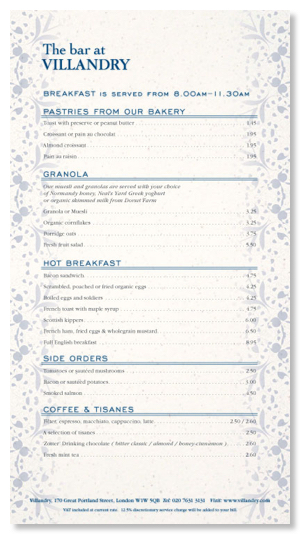 We’ve designed menus for many restaurants, from single sided brasserie style menus to bound versions with their own bespoke cover. We can also supply templates in MS Word for printing in-house. 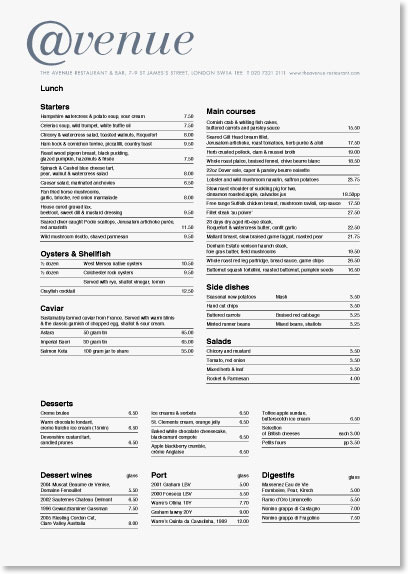 All the formatting is set up as pre-defined styles so it is a simple task for clients to update the menu’s content and print them as and when they need to. 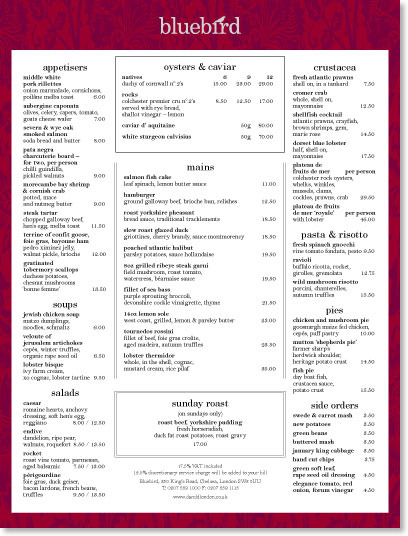 These first few menus are printed on two sides of a single sheet. The stock we specified for Villandry is made from recycled beer mats and has a subtle flecked pattern as a result. 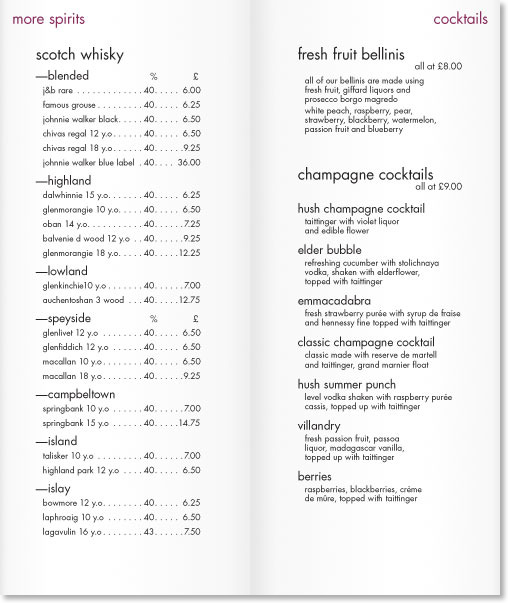 The section headings are pre-printed onto the sheet and the menu items printed in-house afterwards.